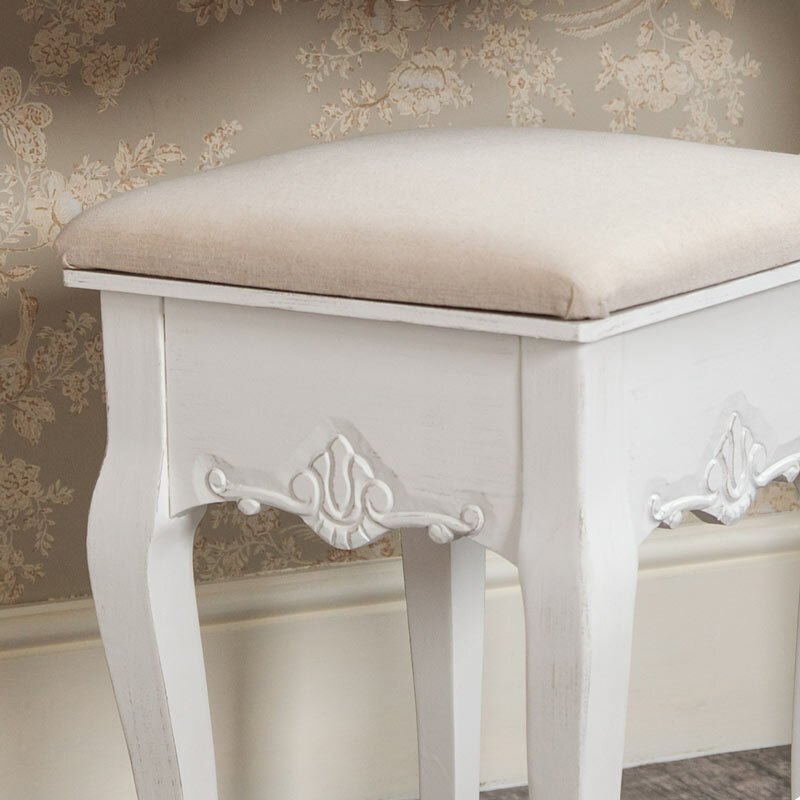 Take a comfortable seat at your dressing table with our Jolie Range stool. 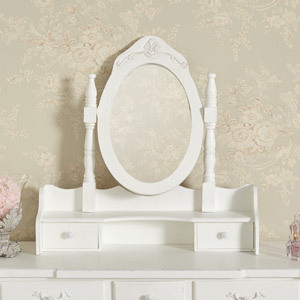 Painted in white with a beige cushioned top, this is the perfect companion to our Jolie dressing table and will help to create a beautiful bedroom in gorgeous shabby chic style. We all need a comfy seat when getting ready for the day ahead or a fab night out and this stool is simply perfect. In a square shape with ornate carved detailing surrounding the frame and upholstered with a beige cushioned seat. Distinctly French in style, this is perfect for teaming up with the rest of our Jolie Range furniture with dressing table and vanity mirror available. 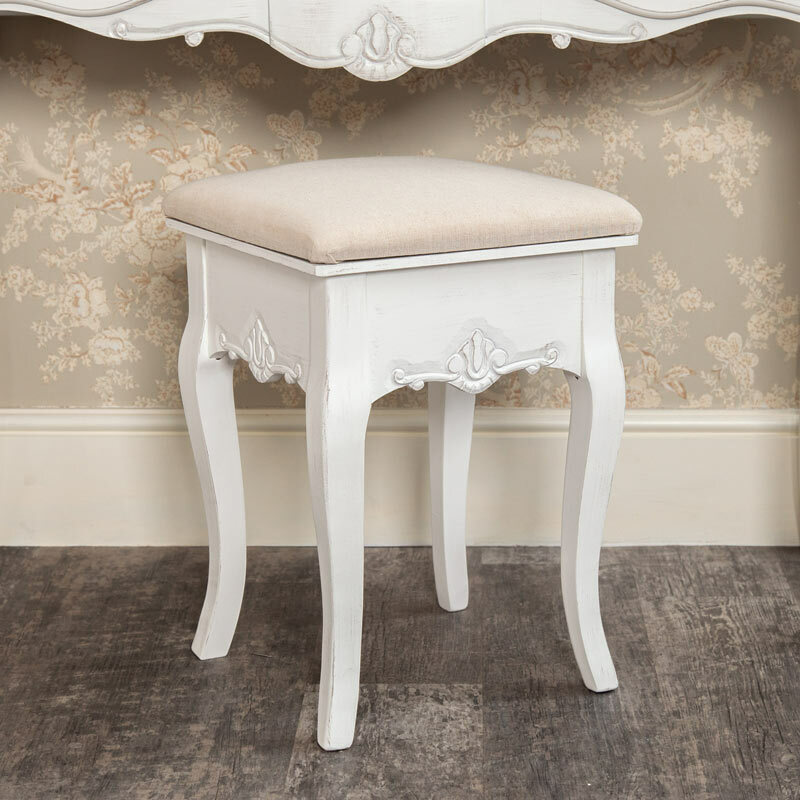 Take a comfortable seat at your dressing table with our Jolie Range stool. 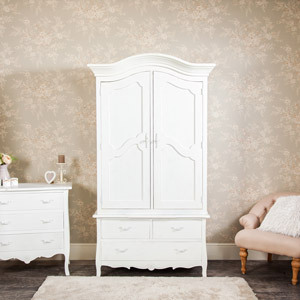 Painted in white with a beige cushioned top, this is the perfect companion to our Jolie dressing table and will help to create a beautiful bedroom in gorgeous shabby chic style. We all need a comfy seat when getting ready for the day ahead or a fab night out and this stool is simply perfect. In a square shape with ornate carved detailing surrounding the frame and upholstered with a beige cushioned seat. 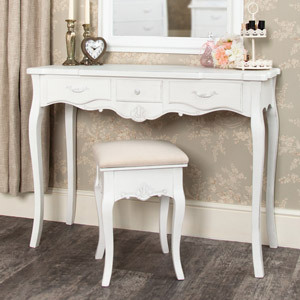 Distinctly French in style, this is perfect for teaming up with the rest of our Jolie Range furniture with dressing table and vanity mirror available. 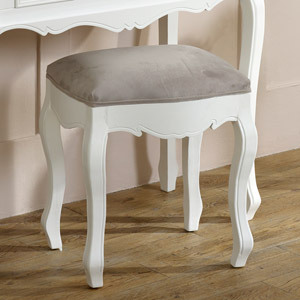 The base of the stool is made from wood and painted white with a distressed finish to enhance the vintage appeal. The top comes upholstered in a beige cotton with deep cushioning for extra comfort. 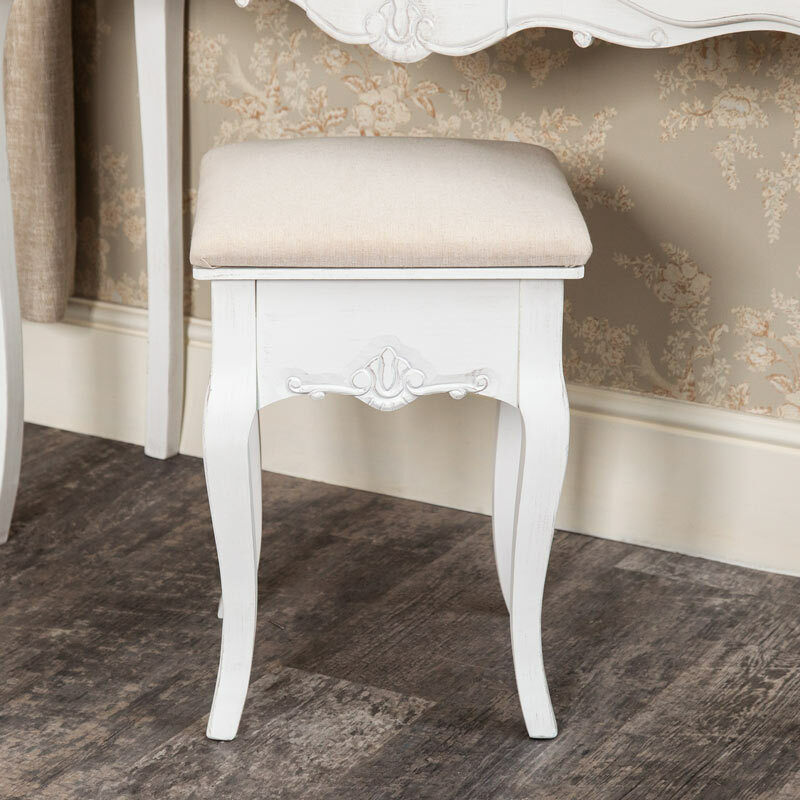 This stool is from our Jolie range and if your looking for something different, maybe a little less distressed be sure to check out our extensive range of stools available across our ranges.. Simply type in “Stool” in the search bar.